Tree maintenance in schools is a vital investment that provides priceless peace of mind. If you want healthy trees and safe schools, call 1300 043740. Are you worried about the safety of students, staff and visitors? Would you like someone to explain tree maintenance in plain English so that you feel empowered to make informed decisions? Are you concerned that tree maintenance will affect the aesthetics of your leafy school property? 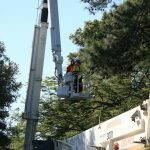 Do budget constraints make it hard to implement an effective tree maintenance program? Are you worried about the expertise and reliability of contractors, and the type of contractors who might be on your school grounds? Do you want to be proactive rather than reactive in order to reduce expensive repairs after storms and other inclement weather? Are your time-poor ground staff already spread too thin and unable to implement specialised and ongoing tree maintenance? This 12 month support program is based on a comprehensive four step framework. It is not a one-off, generic service. Whilst we still provide stand-alone services as required for schools, this unique program is designed for schools seeking a trusted tree care partner for ongoing advice, cost-effective maintenance and priority service. 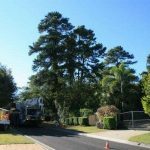 Why work with Brisbane Tree Experts? Free initial 1 hour onsite consultation. Safety first. All trees are assessed and regularly tracked and maintained, ensuring the safety of all who step foot on your school grounds. Knowledge is power. We explain tree maintenance in plain English. Nothing is gained by bamboozling you with arborist jargon or a string of Latin botanical names. We want you to be well-informed and confident. When you feel empowered, the foundation of a strong and equal partnership is built. Beauty maintained. We want your trees to thrive and flourish so that they can provide: peaceful shade for all to enjoy, a nurturing learning environment and a stunning first impression of your school. Flourishing trees also help ignite environmental consciousness in students. Stakeholder management. Armed with knowledge, you can adequately reassure your faculty and parents about all aspects of tree maintenance. We are passionate about imparting knowledge about trees in a friendly and professional way, and will be happy to address issues and educate your parent and staff body at any relevant meetings. Experienced, qualified arborists. We are not unqualified ‘tree loppers’ who hack away at trees. We maintain trees in a way that enhances their beauty rather than ruins it. Cost-effective tree services. Armed with knowledge, you can adequately reassure your faculty and parents about all aspects of tree maintenance. We are passionate about imparting knowledge about trees in a friendly and professional way, and will be happy to address issues and educate your parent and staff body at any relevant meetings. We don’t charge cheap, tree lopping rates, followed by cheap, dangerous work. We are experienced professionals who will complete work safely, correctly and efficiently, while always keeping the aesthetics of your property in mind. Friendly, reliable, respectful staff. Unfortunately our industry is renowned for having inexperienced, unqualified, unfriendly and ‘dodgy’ contractors. 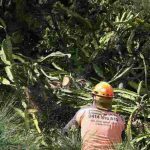 At Brisbane Tree Experts we handpick our experienced, friendly staff and provide ongoing training. The last thing you need is to have disrespectful or questionable behaviour from inexperienced contractors on your school grounds. For a friendly, obligation-free chat or for pricing, contact Glenn Walton today.